Despite how awesome it is to live in Vancouver, sometimes you just need a getaway. Fortunately, when time can't afford you a vacation driving across the border to Seattle is only a 2.5 hour trip. 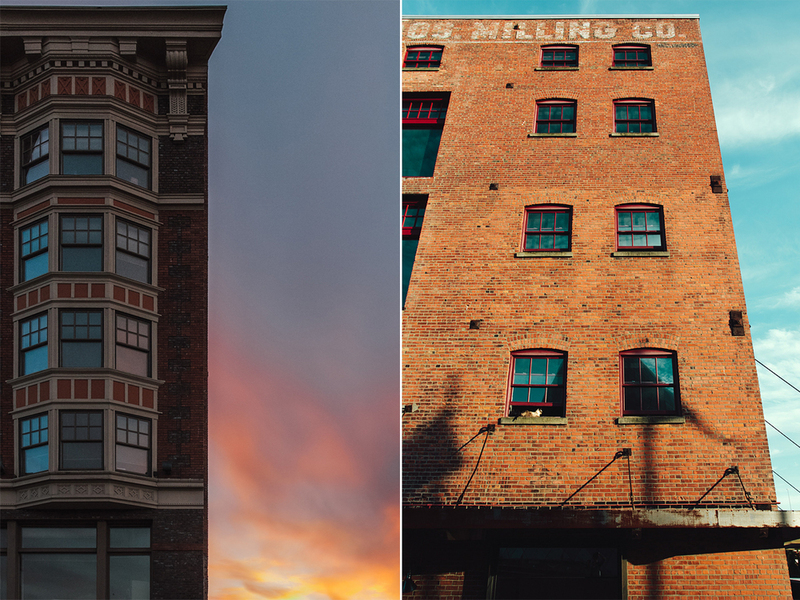 Here are a few images that focus on the architecture of Seattle and Tacoma from this past weekend's trip. As a fan of architectural photography, I didn't want to rush my short stay and visit many locations; rather, I decided hone in on a couple buildings to photograph. 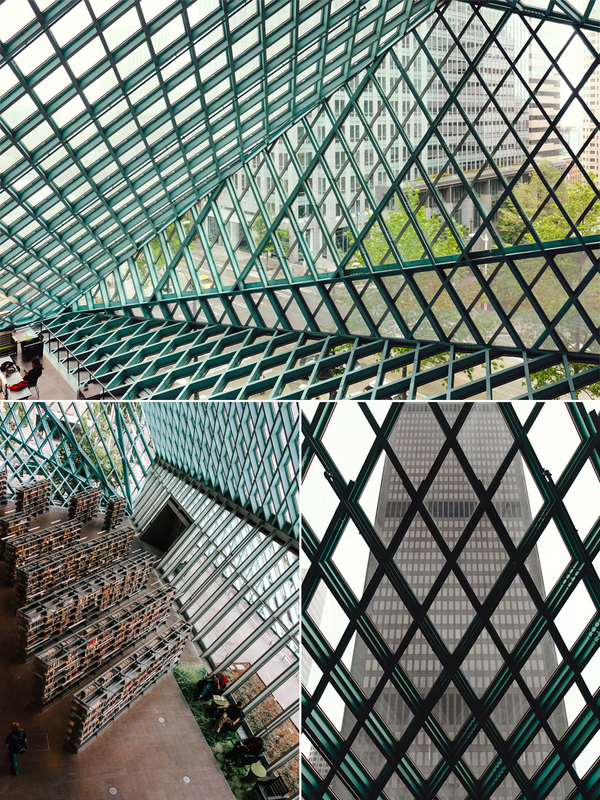 Firstly, I chose the Seattle Public Library as I had never visit in past trips. Unfortunately, I wasn't able to capture the outside of the library as I didn't bring my full-frame camera and appropriate lenses (I brought very little camera equipment for this trip) but I did manage to snap several shots of the interior. I was thoroughly impressed with this massive library and all the interior architecture it provides. It's all a matter of perspective. 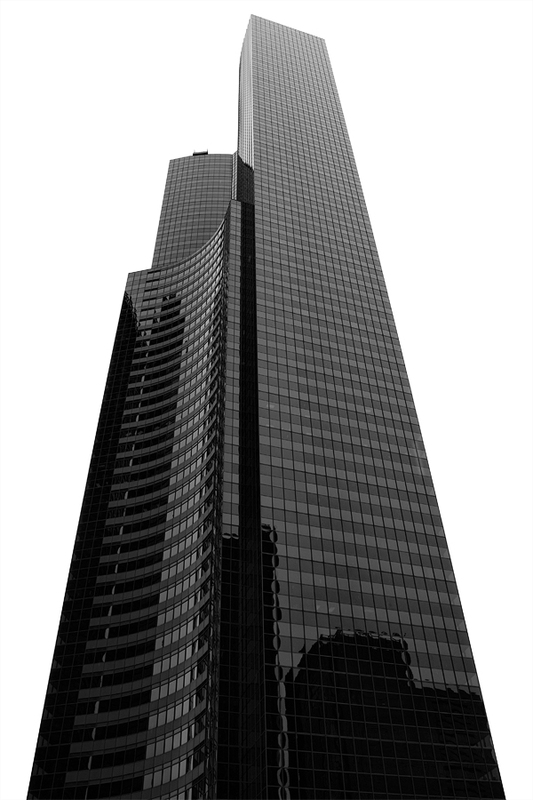 The Columbia Center is skyscraper and tallest building in downtown Seattle. I actually stumbled upon it as I left the Seattle Public Library. The ideal location to photograph the entire building is in Smith Tower; however, time constraints did not afford me such a luxury. 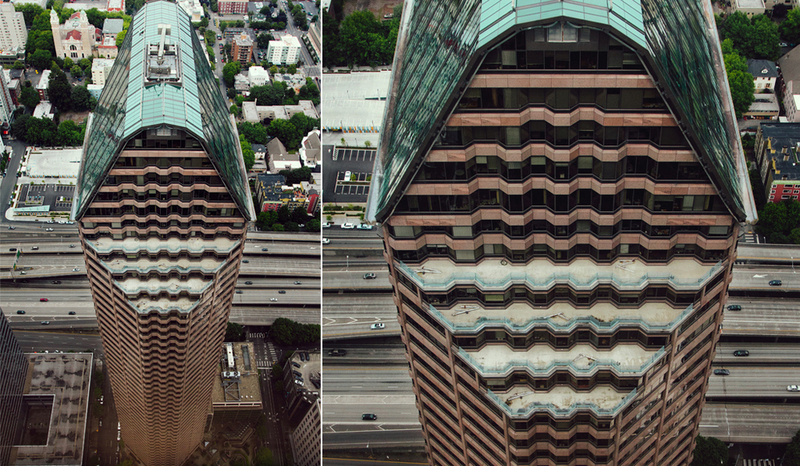 Instead, I stood at the foot of Columbia Center and pointed my camera upwards and snapped a shot (below left image). 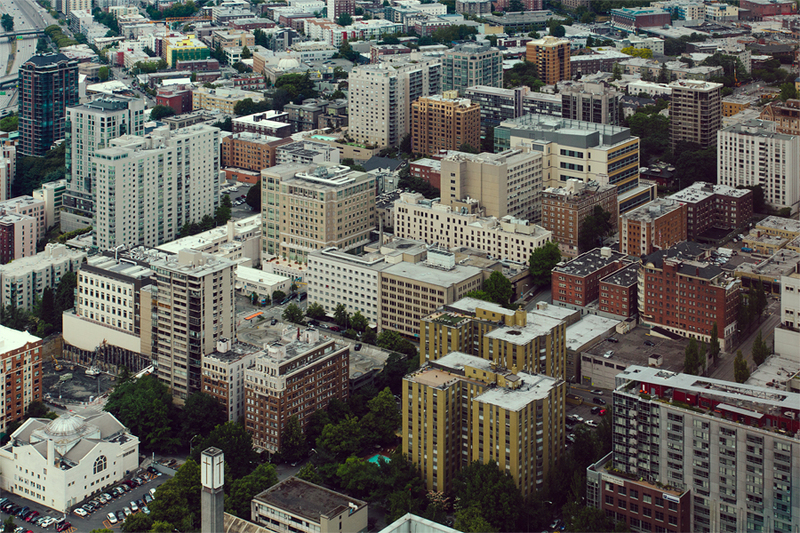 In post (Adobe Photoshop CS6), I straightened out the image to provide a rectilinear perspective as if shot from Smith Tower. The overcast skies provided little cloud definition which provides these images more of a sterile yet fine art touch. Tacoma was just a short ride south of Seattle where the downtown district was littered with warehouses and buildings that had a very blue-collared feel about them. As a photographer, this is paradise for me with regards to potential shooting locations. 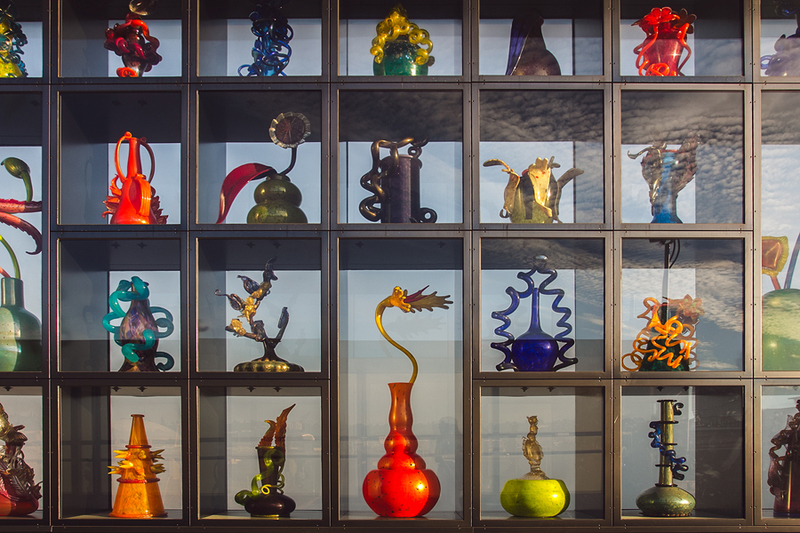 I also stopped by the Glass Museum (below) where this was a public wall display of intricate blown glass. All in all, this must-needed getaway and I look forward to visiting again soon!